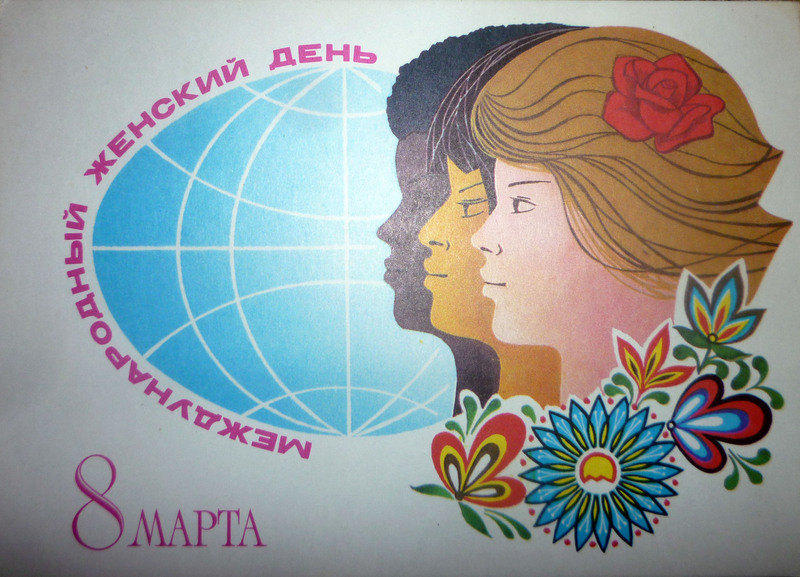 Old Soviet postcard congratulating women on the 8th of March. Ukrainian Men know how to appreciate their women, at least on one day of the year. March 8th, International Women’s Day, is a huge holiday for Ukrainians and a favorite among women. Unlike Valentine’s day, all types of women are acknowledged (mothers, daughters, sisters, grandmas, class mates, co-workers, etc.) and best of all the men are not bashful to announce their affection. A week ago, flowers salesmen started to reserve spots on the main street of Romny in preparation for the mass amounts of flowers that are bought on March 8th. My school celebrated by preparing beautiful concert in our new auditorium. 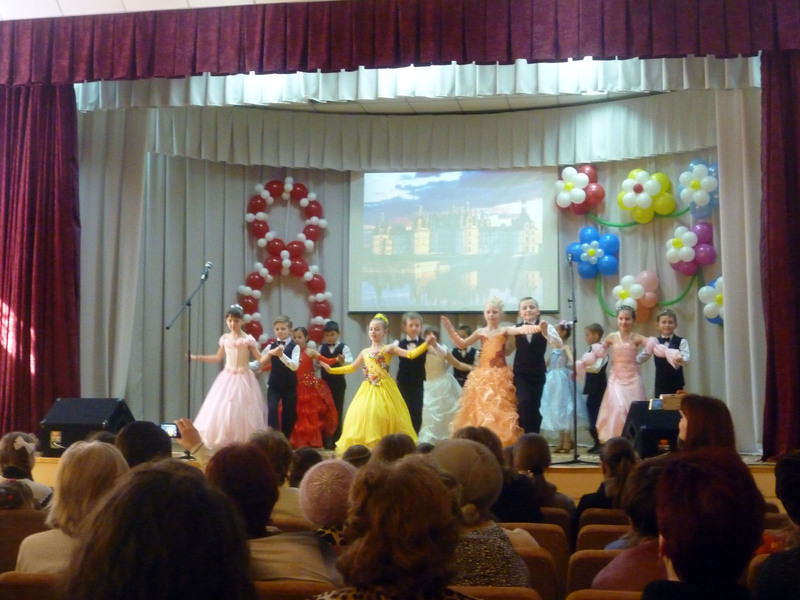 Highlights included a speech from the Mayor, solos from various noteworthy men of Romny and our most talented dancers and singers at the school. It was performed once for the women of our community and a second time for the teachers of our school. We were also given a four day weekend, an amazing feeling after having Saturday school for the past three weeks. 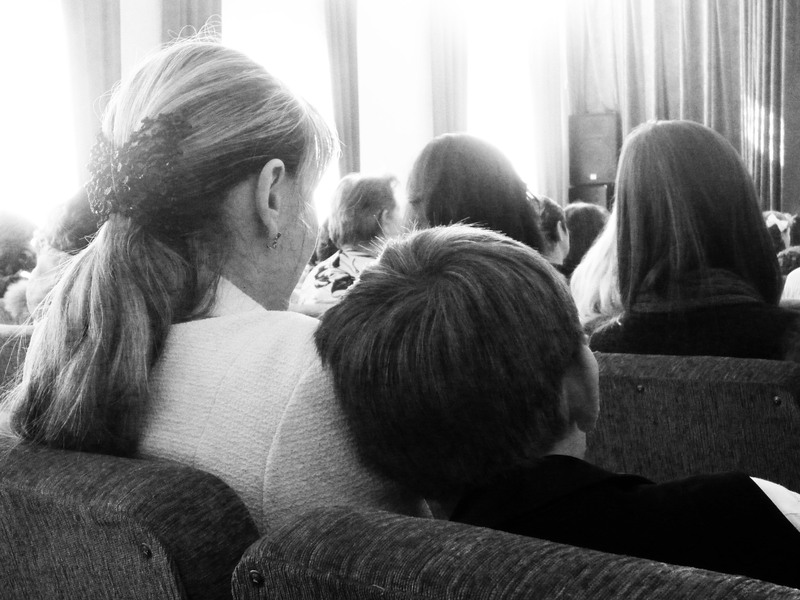 My favorite act in our school concert...the primary school ballroom dancing! Women's day presents from my students! In addition to the concert, many male students at my school prepared presentations for their fellow female classmates, wished them blessings and gave out flowers. 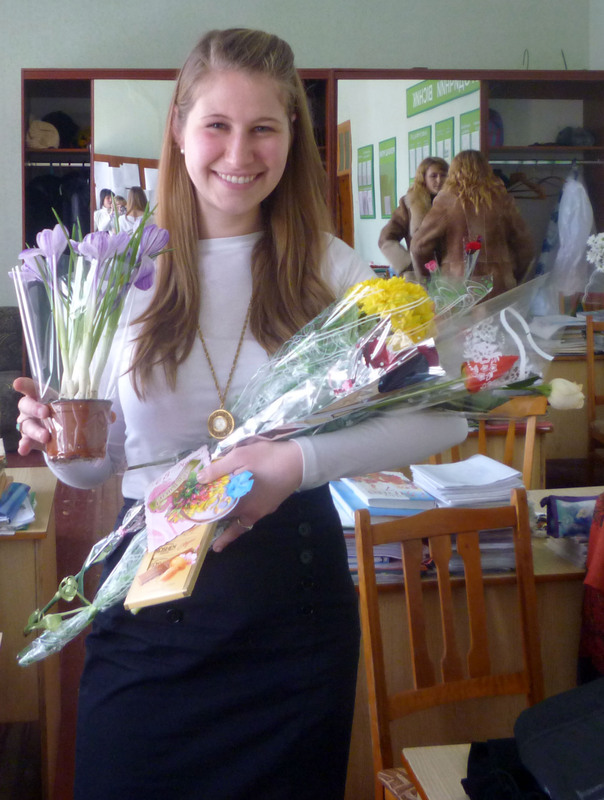 Both the male and female students also gave flowers, chocolates, blessings and cards to the female teachers. I think I received the most amount of flowers I have ever been given by more than one person. To finish the day’s celebration, the male teachers at our school (who are dramatically outnumbered five to ten) pooled their money together and provided a huge feast for us female teachers. 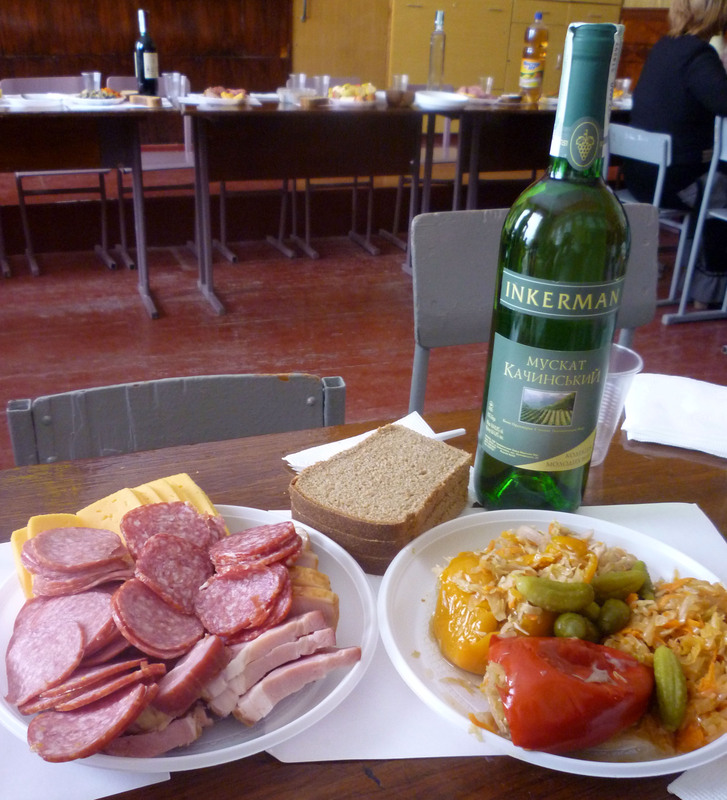 They converted the desks of one classroom into a long table and filled it full of home-canned vegetables, fruits, cheese, sausages, and of course, vodka and wine. After a few minutes, one teacher brought out her accordion and the teachers burst into a boisterous chorus of traditional Ukrainian songs. One cultural difference I’ve noticed from the many holidays of Ukraine is their style of ‘well wishing’ or blessing. When it is a person’s birthday, New Years or Independence Day in the US, we simply wish each other: Happy Birthday, Happy New Years or Happy 4th of July. However, this is not enough in Ukraine. When Ukrainians celebrate each other they truly wish them well and define a whole long list of blessings. For example, on my birthday I received a card with a handwritten poem from my fellow teachers saying, “From morning till night may your birthday be bright and nicer than ever before…And as years come and go may your happiness grow and your dreams be fulfilled even more”. Although this poem might appear on a birthday card in the US, it would never be proudly read aloud with the presentation of a gift. In addition, on Women’s day, each of my flowers, cards and chocolates was accompanied by wishes of health, wealth, beauty and happiness. I love this tradition of ‘well-wishing’ because it truly depicts your respect and blessings for the recipient of the wish. I think I’m going to promote this wonderful holiday in the US when I return in 2014. Who doesn’t need another reason to celebrate women? A) LOVE THAT OUTFIT! Amazing look. I will probs steal a version of it in the near future. You will get credit for sure though! B) Those girls dresses are awesome! And if only when we were young little boys in black ties danced with us on stage! Awesome story though and thinks it so cool they say their thanks out loud! According to my main source of information (wikipedia), the Women’s day is originaly from the Soviet Union, although it is celebrated worldwide today.